Let’s have some fun this week...let’s do a letter challenge! Like an episode of Sesame Street, this week is all about the letter T. From Tea to Triceratops, Tacos to Turtles, the possibilities are endless! Please also be following @ahistatea @creativelysquared on Instagram in order for your entry to count. Please also be following @fakingbeautiful @creativelysquared on Instagram in order for your entry to count. Our sponsor Koko Body is a botanical skincare company that is all about nature and producing plant based products so who better to sponsor this week’s challenge. Speaking of the perfect match, Allison from @imehly is our guest host and she sure does know how to style with fruit and flowers. Just scroll her feed for some scrumptiously floral goodness! Please also be following @koko_body @creativelysquared on Instagram in order for your entry to count. Happy Birthday to Creatively Squared! This week is all about our workspaces! We want to see your workspace...from desktops to kitchen benches, from work benches to sewing tables...where do you work? Laptop flatlays to foodie flatlays, kitchen vignettes to desk scenes...in this modern age, your workspace can literally be anywhere! And our sponsor Plann is all about making your working life easier. They have been with us before, so I’m sure you all know about their fabulous app making it super easy for you to plan and post on Instagram. Sometimes the teeny tiny screen and keyboard just don’t cut it, and you need to be more efficient, so guess what...they are launching Plann Desktop soon and we are giving you the chance to be one of the first to use it. Our guest host this week, the delightful Jessica from @luxeandthelady, is a huge advocate of Plann, and so she is super excited for the desktop version! Jessica is all about planning, and anything to give her more time in the kitchen to plan her recipes and food art is a win! Her feed is just so deliciously good, and it’s all organized using Plann. Her workspace is pretty obvious really...it’s her kitchen bench with the tools of her trade and her delectable delights the end result! I know this is the favourite workspace for a lot of you too! So let’s take care of some business and share our workspaces. Plann love a pop of blue so feel free to work this into your image for some extra brownie points...and a pun or two, that would be mint! Prizes: 3 lucky winners will win a 6 month subscription to Plann Desktop…woohoo! Now I’m a bit of a non-traditionalist when it comes to bag spills. Of course I don’t actually carry around figs, macarons and flowers that look like Side Show Bob in my clutch, but wouldn’t that be fun! Whether you push your artistic licence and creativity with this theme like I have tried to do, or you prefer to show us what’s really in your bag...we want you to spill it, literally! From beautiful flatlays of your evening clutch must-haves to vignettes of your jam-packed baby bag...it’s totally up to you what you spill! Our sponsor Anna from @rawcottoncollection makes beautiful handmade bags and clutches for big and little people so she’s perfect for this challenge! We will have some very special community members dropping by this week showing us their interpretation of the theme featuring our sponsor @rawcottoncollection and they help to choose the features too...how exciting! Challenge image by the super talented Kate @iamyorkelee from @yorkelee_prints, our guest host for the week! Love it or hate it for its commercialism, there’s no denying this week brings out a little bit [or a lot] of love in each of us. But there’s no grand gestures required here, it doesn’t cost much to arrange some flowers from your garden into a heart or cook a hearty meal full of love for a loved one...this week is all about that four letter word. Show us how you are spreading the love and you could win some beautifully scrumptious cookies baked with love by the super lovely Jenna from @lovebitescookies for your next special occasion! Jenna will be sharing her favourites too as she’s also helping me with the guest hosting duties this week. We are also encouraging you to spread love amongst our community too. Share your favourite entries to your own Insta Stories and you could also win some cookies too. Don’t forget to tag us @creativelysquared and @lovebitescookies so we see your kindness, and we can share them too. Are you guilty of folding your underwear into little squares that can stand up on their own and reducing your book collection down to 30 books that spark joy? Admittedly I’ve always folded my underwear and I have way more than 30 books that spark joy but you see where I’m going here! This week is all about organising and we have our very own organising queen on the case, the wonderful Sarah from @sarahshanahan_lifestyle! We’ll love to see your very stylish and beautiful organising just like Sarah‘s with these beautiful labels from @wordshewrote, our sponsor for this week! We realise organising isn’t always this pretty so feel free to share some of your organising BTS and the before | afters of your epic organisational accomplishments to your Insta stories too! Tag us and I’ll share them with the community too and spread the organising love. Don’t forget to make use of the carousel feature when posting to your feed too! Please also be following @wordshewrote and @creativelysquared on Instagram in order for your entry to count. Challenge image by the lovely @sarahshanahan_lifestyle, your guest host for the week! Please also be following @nichecoofficial and @creativelysquared on Instagram in order for your entry to count. Challenge image by the beautiful @_hello_g_, your guest host for the week! To be eligible for this prize you must have the following tags in your opening caption #cs_whatsunderneath @yaelyaniv and be following Creatively Squared on Instagram. Challenge image by the lovely @yaelyaniv, your guest host for the week too! Let’s get back to nature with our sponsor @typoflora and celebrate everything that is ‘by hand’. @typoflora creates beautiful illustrated floras celebrating the art of hand drawing and their love of botanicals to inspire your days with nature. It’s about smelling the roses, hand-picking flowers from your garden, doodling interesting plants, journalling any plants you may come across. And our guest host Katherine’s beautiful image epitomises everything that ‘by hand’ is: the flowers hand grown and picked by Katherine’s own mother and her beautiful @typoflora diary that she will hand write in throughout the year ahead. To be eligible for this prize you must have the following tags in your opening caption #cs_byhand @typoflora and be following Creatively Squared on Instagram. Challenge image by the lovely @katherinedorrington, your guest host for the week! Come on and get a move on! It’s time to stretch those creative muscles and put your best ideas in motion. We’d love to see you experiment with animation, video and stop motion this week and see how you can bring your images to life. You could capture the feeling of movement within your still image or show us your own unique interpretation of the theme. The winner will get the chance to become a video whiz with a mobile gimbal up for grabs from the team at @creativelysquared! To be eligible for this prize you must have the following tags in your opening caption #cs_inmotion @creativelysquared and be following Creatively Squared on Instagram. To be eligible for this prize you must have the following tags in your opening caption #cs_freshstart @creativelysquared @thenotely and be following both accounts on Instagram. Challenge Image by Dorinela @dorinelahamamci, your host for the week. It’s time to put on those rose tinted glasses and celebrate all things rosy! It could be your love of pink, coming up roses or one of our favourites, enjoying a glass of Rosé...whatever puts a rose tint on your day, we what to see! At this time of year, it’s the perfect time to reflect and put throw some positivity around...or literally rose petals, whatever tickles your rosy fancy! You could win a beautiful prize pack from @rosy_sands to freshen you up for the new year! Please also be following @rosy_sands and @creativelysquared on Instagram in order for your entry to count. With the festive season in full swing, it’s important to take some to out for yourself to relax and reflect. How do you escape the craziness that is the silly season? It could be simply lounging by the pool, taking a bath or dreaming of that tropical holiday you are longing for. How ever you might escape, share it with us this week and you could be pampering yourself from @chamonixrainorganics. Please also be following @chamonixrainorganics and @creativelysquared on Instagram in order for your entry to count. It’s December… a time when many of us are fluffing our Christmas trees and decking our halls with some festive spirit! We would love you to share how you are getting into the jolly season in your home and spread some Christmas cheer! But this theme certainly doesn’t have to be all about the silly season. Share a mood board of your latest renovation project, your new house or your dream interior scheme! Our sponsor sells beautiful rugs so Amy is all about decking your halls...literally! Please also be following @ohh.happyhome and @creativelysquared on Instagram in order for your entry to count. Challenge Image by Marisa @marisa.young your host for the week! This week we are seeking out new and exciting experiences. How have modern advancements and technology changed the way you see and discover the world around you? Don’t think that this theme is just limited to travelling the world, the modern explorer could be simply taking a hike in nature or going on a culinary adventure at a new cafe. We’d love to see you get creative and share your favourite past endeavours or seek out some new ones this week. Please also be following @leecoren and @creativelysquared on Instagram in order for your entry to count. Challenge Image by Kelly from @myscandistyle your host for the week! We are taking our creativity to the dark side this week with a ‘Black’ themed creative challenge. Whether you are shopping up a storm with Back Friday or have always wanted the excuse to experiment with a dark backdrop let’s see you interpret the theme in your own unique way! Please also be following @burnbabyburncandleco and @creativelysquared on Instagram in order for your entry to count. Challenge Image by Em from @stilettos_and_bricks your host for the week! What’s the one thing you just can’t say no to? An extra row of that chocolate block, one more glass or wine or something even cheekier. Whether it’s sleeping in, Netflix binges or maxing out that credit card it’s time to purge your sins and share your guilty pleasures, we promise we won’t judge you! Please also be following @gingerfinchhome and @creativelysquared on Instagram in order for your entry to count. We are inviting you to take a break, make yourself a hot drink and recharge those creative batteries this week. Even if your ‘cup of tea’ isn’t actually tea at all we’d love you to capture the feeling of enjoying a quiet moment and simple pleasures. Please also be following @brindaromes and @creativelysquared on Instagram in order for your entry to count. Challenge Image by @handmadeglamour your host for the week! It’s time to raid the pumpkin patch and put on your costumes because the spookiest time of year is upon us! All Hallows' Eve is just a couple days away so let's make our challenge this week a creative spooktacular! Even if you aren’t celebrating any Halloween festivities you can use this creative theme to ‘treat yo’self’ and show us your sweet indulgence - any excuse will do right? Prize: One Community Vote and one Sponsors Choice Winner will each receive a $150 voucher to spend on Party supplies. Please also be following @partykitcompany and @creativelysquared on Instagram in order for your entry to count. Challenge Image by @amyshamblen your host for the week! Let’s get light and bright and spread some joy! We’d love to see you share your boldest, brightest creative ideas and unique interpretation of this theme. You could experiment with vibrant colours, brilliant sunshine or celebrate the positive with uplifting elements. Please also be following @rubyoliveonline and @creativelysquared on Instagram in order for your entry to count. Challenge Image by @erinsummer_ your host for the week! What makes you feel at home? It could be your front door which welcomes you home, a vignette of your favourite little reading nook, or a flatlay tribute to that special someone that makes you feel like home no matter wherever you are. Along with @LoopLiving, we want to you to pare back your life and connect with the simplicity of what home truly means to you. Please also be following @loopliving and @creativelysquared on Instagram in order for your entry to count. Image by @Marisa.Young your host for the week! This week’s challenge is all about curating your image to capture a more refined aesthetic. You could refine your styling at home or taper back your wardrobe. Give your visual narrative more impact by applying the philosophy of ‘less is more’ to add clarity to your creative composition. 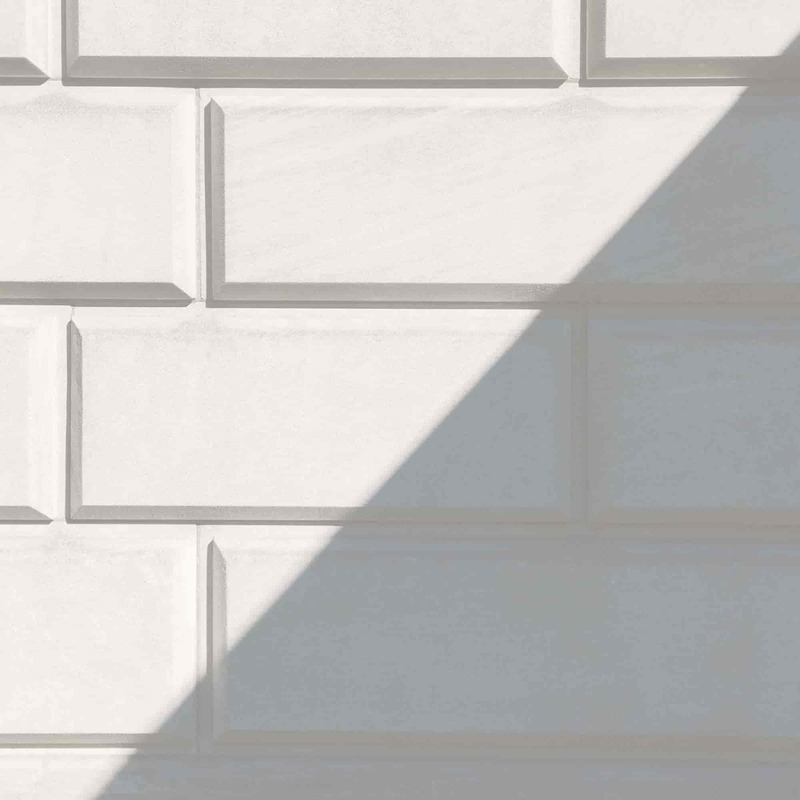 Try a more minimal approach, experiment with some white space or simplify your colour palette. Please also be following @third_boi and @creativelysquared on Instagram in order for your entry to count. Coffee and creativity - can you have one with out the other? We are celebrating International Coffee Day today and want to keep the buzz going all week with our first coffee themed photo challenge! Treat yourself to your brew of choice and show us your favourite way to celebrate this humble bean or enjoy a cup of coffee. If you aren’t a coffee drinker you can still join the fun, just get conceptual or style up a hot chocolate or your favourite tea instead. Please also be following @expresspods and @creativelysquared on Instagram in order for your entry to count. It’s officially flatlay week here at Creatively Squared! The flatlay is such a popular style of entry in our creative challenges we thought we would give it a week to shine. 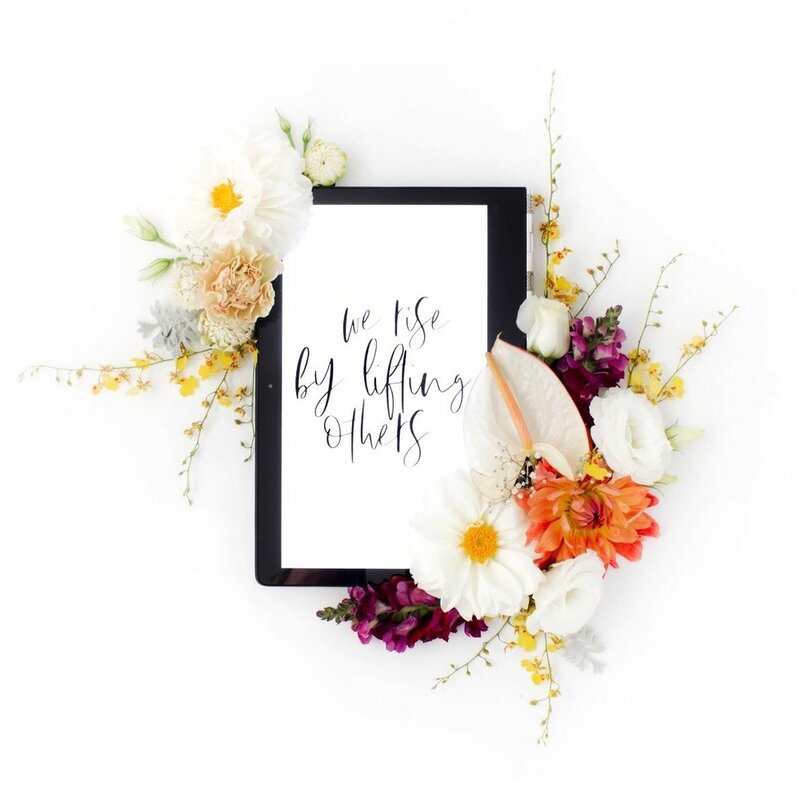 Tell us a visual story or express yourself creatively through a flatlay this week and you could win some fab photo boards to use as backdrops. Please also be following @flat_laid and @creativelysquared on Instagram in order for your entry to count. Need some extra inspo for your challenge entry? Check out our 'Colour Clash' themed Pinterest board. Ever heard of the saying brown and blue will never do, or pink and green should never be seen? Well it’s time to throw the rule book out the window with our latest creative photo challenge. This is your chance to disrupt everything you thought about complimentary colours and experiment with crazy new combinations! Why not try working wth a colour you’ve never used before (or just try using ANY colour if you usually prefer neutrals!) Make it as subtle or as striking as you like and brace for impact! Please also be following @louisaroseandcojewellery and @creativelysquared on Instagram in order for your entry to count. Need some extra inspo for your challenge entry? Check out our 'In the Frame' themed Pinterest board. This week we are challenging ourselves to experiment with creative ways to frame an image. You can use shapes, perspective and depth to create drama and draw the eye to your subject. Let your imagination interpret this theme any way you like from traditional picture framing to using unconventional ways and creative techniques to style and shape your shot. Please also be following emilieslittlelamb and @creativelysquared on Instagram in order for your entry to count. This week we want you to say it with flowers! Share your favourite blooms with us and capture how they make you feel. We'd love you to think about original ways to use flowers to decorate, inspire and bring beauty to unexpected places. Your flowers can be grown wild, fresh from the florist, made of silk or paper or crafted any way you like. Even if it's not Spring in your part of the world, let's see your creativity flourish and bloom! Please also be following @paperandpeony and @creativelysquared on Instagram in order for your entry to count. Need some extra inspo for your challenge entry? Check out our 'From the Garden' inspired Pinterest board. It's time to paint those thumbs green and go foraging! We are taking our creativity and imagination out to the garden this week. All sorts of inspiring things are found out in the garden like plants, birds animals and insects. Whether your type of garden is your own backyard, a public park or your favourite houseplants let your creativity grow wild and create images featuring vivid greenery, tasty fresh produce and beautiful flowers. Please also be following @ecologiqueco and @creativelysquared on Instagram in order for your entry to count. Need some extra inspo for your challenge entry? Check out our 'Fur and Feathers' inspired Pinterest board. Let's create images featuring textures, prints and colours inspired by birds and animals. You could get your pet in the frame and make your entry a tribute to your favourite furry friend or winged companion. Try heading outside to forage some feathers or stay indoors and show us how you decorate your nest. Please also be following @bowerbird_aus and @creativelysquared on Instagram in order for your entry to count. Need some extra inspo for your challenge entry? Check out our Australia themed Pinterest board. Let's take a trip down under and be inspired by the sunburnt country of Australia. From desert plains to tropical rainforests, Australia is home to some of the most diverse landscapes and unique plants and animals in the world. Whether you live there, have traveled on holidays, or would love to visit one day, we would love to see how you imagine and capture the spirit of this country. 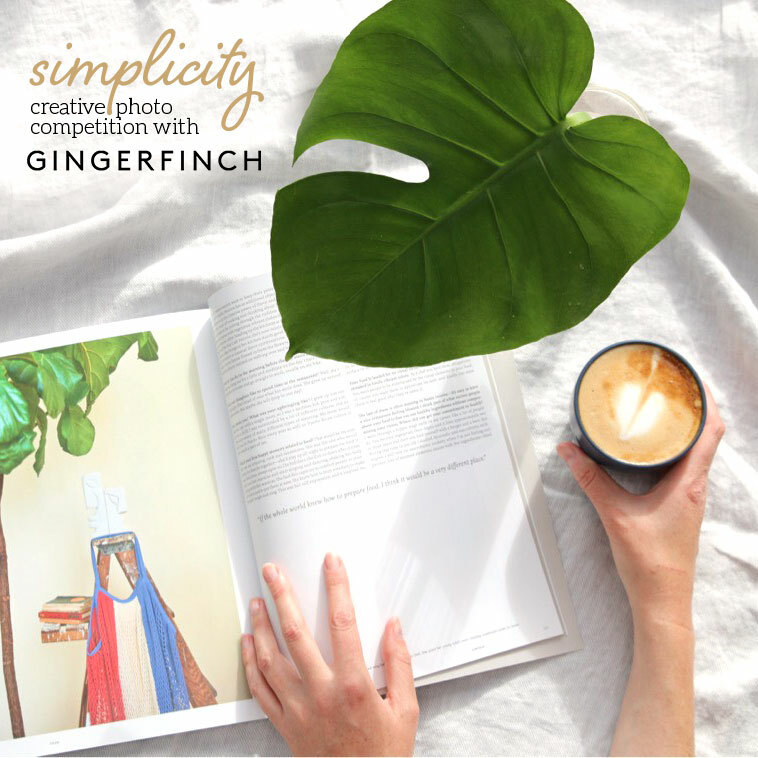 Take inspiration from any aspect of the culture that resonates with you, your tribute to Australia may even be as simple as making a 'flat white' coffee or styling some fresh eucalyptus foliage in your home. Please also be following @bitsofaus and @creativelysquared on Instagram in order for your entry to count. Let's go rainbow! This week we'd love you to show us your favourite colour of the rainbow or celebrate them all at once. There is so much inspiration to be found in the shape, colours and sentiment of these vivid arcs of light. Rainbows are symbolic of the beauty that appears after a storm and there are rainbow babies, pride celebrations and pots of gold to find. Whether you take a personal approach or just go crazy with colour we'd love to see what rainbows mean to you! Please also be following @creativelysquared and @unitedbraceletsau on Instagram in order for your entry to count. This week we are adding some artistic flair and getting creative with print and pattern. You could show us your interior style and how you incorporate art prints in your home or look for patterns around you in nature and every day life. Let's use our creativity to bring cheer and positivity through bold colour, organic lines and geometric shapes. You can make them compliment or clash and experiment with something new! Please also be following @creativelysquared and @emiliofrankdesign on Instagram in order for your entry to count. This week is all about getting sentimental. We’re celebrating all those special moments that touch us deeply, that cause our hearts to melt, and awaken our souls. It’s time to draw yourself back into the present moment. Start capturing those moments you never want to forget, and bring us closer to your feelings and emotions. Please also be following @creativelysquared and @writetome on Instagram in order for your entry to count. The future is bright so lets keep on dreaming this week! Last week was all about your travel goals but now we would love to see your entire bucket list. So whether you love to stay organised with daily to-do lists or live with your head in the clouds, it's time to get creative with your dreams and goals. Please also be following @creativelysquared and @foxandfallow on Instagram in order for your entry to count. Calling all globetrotters, adventurers and dreamers: Pack your passport and let's take our creativity around the world! Our beautiful planet is filled with so many exciting and exotic destinations that we can be inspired by this week. Whether you lust after adventures that are local or global we would love you to share your dream destinations and your favourite holiday snapshots and souvenirs. Please also be following @creativelysquared and @emmakateco on Instagram in order for your entry to count. Please also be following @creativelysquared and @hammeredleatherworks on Instagram in order for your entry to count. This week we are exploring the world in all its little and large goodness. We encourage you to play with the many different interpretations of this theme. You could explore scale and size in your compositions. It could be as simple as comparing the relative sizes of objects to tricking the mind into what it perceives to be little or large by clever editing, collaging or camera angles. The interpretations can be as open as the theme itself and is really only limited by your imagination so have some fun with it! Our fab sponsor, Tiny Sprout love the little people but don't worry they have some goodies for big people too so there's no excuses not to play along this week. Please also be following @creativelysquared and @tinysproutkids on Instagram in order for your entry to count. Image by our host Marisa Young featuring her beautiful babe Aylee and Lessa Lamb from Tiny Sprout. You cam find out more about Marisa in our Meet the Creatives interview. 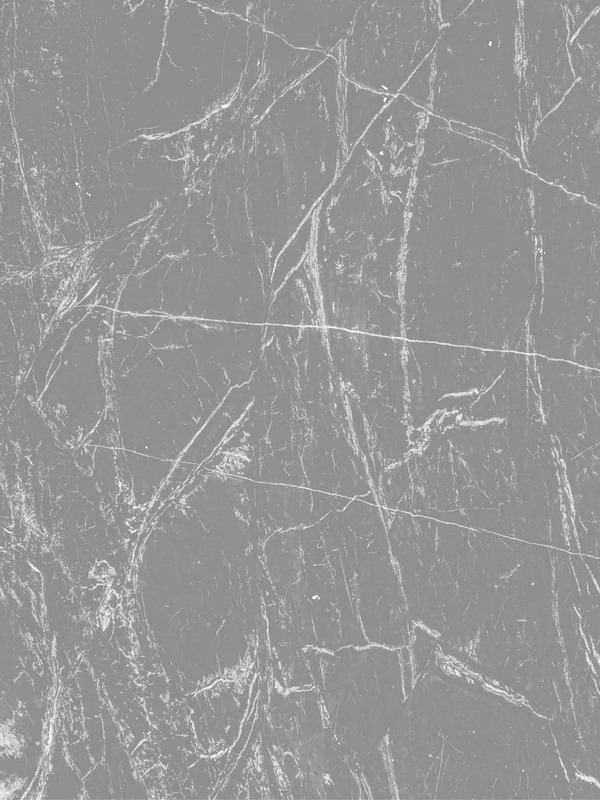 This week we are getting creative with the ultimate contrasting couple - black and white colours. This classic combo is always in style and ever popular in print, homewares and fashion. 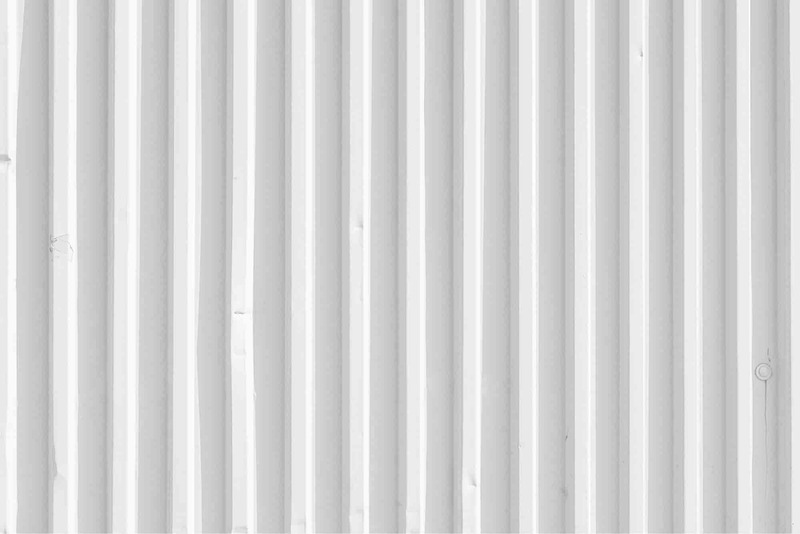 Don't feel restricted to using just these two tones in your image though, you might want to use contrasting colours to make your black and white elements pop even more. This challenge is a great opportunity to experiment with your edit or elements of your composition and win some black and white goodies from our fab sponsor! Please also be following @creativelysquared and @onne_beauty on Instagram in order for your entry to count. Image by special guest host Em Pearman find out more about her in our Meet the Creatives interview. Wherever you are in the world show us your fresh blooms or fallen leaves and let's celebrate the seasons. While some of us are digging out the winter woolies, those up north are celebrating the onset of summer sunshine. We would love you to share how you are embracing the change in seasons, whether you are staring down a mug of hot chocolate or trying to eat an ice-cream before it melts! Please also be following @creativelysquared and @jemcreative on Instagram in order for your entry to count. This week's theme is all about what ever makes your home happy! Celebrate the people, your pets, the quiet moments and the joyful ones. We'd love to see your favourite decorations, home cooked meals and anything that captures the spirit of what makes your house a home. Get colourful and creative and snapshot the beautiful mess that comes with a happy home. Please also be following @creativelysquared and @sukimcmaster on Instagram in order for your entry to count. Emojis have become a vital tool in communication and those little pictures we love can speak volumes, capture moments and convey emotion. With so many different ones to choose from there truly is an emoji for every occasion and this week we'd like you to celebrate your favourites. Capture a real life emoji 'in the wild' or recreate one you love in any creative way you like. You can combine one or more to tell a visual story or just create an homage to your number one! Please also be following @creativelysquared and @clayandclasp on Instagram in order for your entry to count. Our latest theme barely needs an introduction - who can resist the aesthetic combo of crisp white and natural wood? We'd love to see you combine these two crowd pleasers and experiment with contrast, colour and texture this week. Please also be following @creativelysquared and @onehappyleaf on Instagram in order for your entry to count. It's time to get snapping! Create a visual story featuring a favourite photo from your past or share a snapshot of your day. Whether you are reliving your favourite memories or creating new ones we want to see how you capture the moment. Please also be following @creativelysquared and @laikonik_keepsakebooks on Instagram in order for your entry to count. Let's send out some love with our theme this week and create images inspired by your special delivery. We send and receive so many special things like letters, gifts, cards or even your online shopping haul (although that's just another gift if anyone asks right?). With Mother's Day coming up you might be even thinking about your own family and the special delivery of your bundle of joy. We have the perfect sponsor for this week's theme because when it comes to marking a special occasion, our sponsor Cardly can ensure you never miss a milestone. Their collection of beautiful cards from independent artists can be ordered in advance, printed and delivered to your loved ones with your personal message inside. We have 6 prize packs up for grabs this week so don't miss out! Please also be following @creativelysquared and @cardly_net on Instagram in order for your entry to count. This week we want to see you spill it - the contents of your bag that is! You could style a bagspill of your handbag or share what you would pack for your dream getaway, real or imagined. Let's take a peek at the contents of your makeup bag or show us your most recent shopping haul (even if it was just to the local grocery store!) There are so many different ways you could interpret this theme with any bag in any way you like! Please also be following @creativelysquared and @kinnonaus on Instagram in order for your entry to count. How would your perfect day start? Would you bounce out of bed for a day of fun activities or quietly enjoy cup of tea and breakfast in bed? With Mother's Day coming up we'd also love you to think about how you celebrate your mum or perhaps you could drop some serious hints as to how you would like your own fam to give you one perfect day! If you have already celebrated Mother's Day in your part of the world don't miss this opportunity to treat her (or yourself!) all over again and win some amazing prize packs from T2 tea. Please also be following @creativelysquared and @t2tea on Instagram in order for your entry to count. Please also be following @creativelysquared and @palomacandyshop on Instagram in order for your entry to count. We are serving you up a tasty challenge this week and turning our favourite treat into colour and flavour inspired images with a sprinkle of creativity on top! Share your ice cream dreams with us and if you need any extra inspiration why not turn to our sponsors - they have invented over 1000 flavours featuring all the colours of the rainbow! Baskin Robbins is all about celebrating those little moments in life with imagination and inventiveness which is exactly what we do every week here in the Creatively Squared community! Please also be following @creativelysquared and @baskinrobbinsaustralia on Instagram in order for your entry to count. Who's up for our annual creative Easter egg hunt? This is one of our all time favourite themes and we are super eggcited about seeing some seasonal Easter styling! Whether you like your eggs wrapped in foil or fresh from the farm it's time to eggsperiment and get creative with our special Easter theme. You can can choose to make eggs the feature of your image or hide one away for us to find. Please also be following @creativelysquared and @ferrerorocheraunz on Instagram in order for your entry to count. It's time to go green! Do you thrive on plants or embrace a natural lifestyle? Let's be inspired by nature and embrace all things living. Spring has arrived in the northern hemisphere so perhaps you are enjoying seeing the new seasons fresh growth. Wherever you are in the world show us how you incorporate greenery into your lifestyle. Please also be following @creativelysquared and @biologyskin on Instagram in order for your entry to count. It’s our birthday and we are throwing our biggest challenge yet! To celebrate the 2nd anniversary of our very first creative challenge we have a jaw-dropping $2250+ in prizes to give away this week, generously contributed from a collection of our favourite past sponsors and supporters. If you haven’t entered our challenge before, we even have a bonus prize for newcomers so you won’t want to miss this!! We'd like to see your 'two' themed image created any way you like, photograph two items, use just two colours or create an image that simply celebrates two years of the Creatively Squared community! Please also be following @creativelysquared on Instagram in order for your entry to count. We know you love supporting independent artists and makers so this week we are welcoming back one of our favourite sponsors from last year for some tabletop styling. Carla Dinnage is an incredible ceramic artist and she is back to join us for some creative fun and to see what is on your table. This theme can be captured on any table you like, real or imagined. Get creative with your dinner setting, where your alarm clock sits or your workspace styling. Experiment with new perspectives and bring the story of your table to life. Please also be following @creativelysquared and @carladinnageceramics on Instagram in order for your entry to count. This week we are imagining all the different ways in which letters are meaningful to our lives. Letters don't just come in the post, they are all around us in art, words in print or on your scrabble board. Show us your favourite typography or try your hand at some lettering. Have you got a special letter that someone has written your, some vintage stamps or a favourite quote to share. No matter what comes to mind when you think of the word 'letters' we'd love you to get creative and share your version with us. Please also be following @creativelysquared and @maikonagao on Instagram in order for your entry to count. This week we are celebrating everyones favourite time of day - Happy Hour! But before you go counting down to your Friday night cocktail, think about all the different ways you could interpret this theme during the week. Is your Happy Hour your morning jog or some Netflix on the couch once the kids are asleep? We'd love you to capture this idea any way you like and the more creative your entry the better! Please also be following @creativelysquared and @uberkatejewels in order for your entry to count. Cupid is coming so we are putting on our rose tinted shades and sprinkling a little extra love over our creative challenge this week. Put some heart into your art and share your own creative version of our theme. You could celebrate the form and shape or show us what makes your heart beat a little faster. Let’s see your expressions of love, how you give and receive it and whatever gives you the heart eyes! Please also be following @creativelysquared and @amuseprojects in order for your entry to count. Our challenge this week is all about home sweet home! We would love to see you share your space and create a tribute to the things that make your house feel like home. Do you have a special nook that you love to style or a favourite spot to curl up on your couch? Home doesn't have to be just about interiors, it can be purely symbolic or a even a homage to the people you share it with. You could be inspired by your home town, country of origin or wherever holds your heart. Prizes: First place will win a $200 Kreo voucher and a runner-up will score a SUIS glass water bottle. Please also be following @creativelysquared and @kreohome in order for your entry to count. We want to see you get on the other side of the lens this week with our ‘hands in frame’ challenge. This means it’s time to get your mitts out and whether you use hands, claws or paws we want to see them in your shot! Get creative about how you use your own or someone else’s hands and work them into your image any way you like. Prizes: First place will win a set of three stackable rings of their choice (subject to sizing availability) and 2x runner ups each will win a round Swarovski crystal ring. Please also be following @creativelysquared and @marisakatedesigns in order for your entry to count. Do you have a crush on blush? This week we are inviting you to get colourful and think pink! Celebrate any shade you like from soft pastels to colour-popping magenta. Whether you love it or leave it, you can get creative about how you incorporate this hue into your shot. Pink can be the hero of your image or a complimentary colour - just do it your way! Please also be following @creativelysquared and @cristinaredesign in order for your entry to count. As every New Year comes around, we are all reminded that we have another 365 days to achieve some wonderful things. This week our challenge theme is all about fresh starts. Have you recently moved house or started a new job? Your entry could be something as simple how you start your day, or what you’re looking forward to in 2018. You could also be inspired by what makes you feel refreshed, like a weekend away, a morning coffee or a pamper session. Please also be following @creativelysquared and @c_labandco in order for your entry to count. I'm sure we have all kicked off the new year with big and bold plans for 2018 but this week we want you to think about the little things that will be bringing you joy in January. It could be as simple as your morning coffee, fresh flowers in your home or a celebration of your little ones and furry friends. Please also be following @creativelysquared and @toucan_ in order for your entry to count. This week we are wiping the slate clean for the arrival of 2018 and celebrating all things new! Have you got some new goodies that you got for Christmas that you would like to show off? Or Have you made some New Years resolutions or plans for 2018? We would love to see whatever is new to you in January and the year ahead. We have been shopping at Creatively Squared community member Alyssa Stokes' Etsy store and picked up some of her gorgeous handmade 2018 calendars for the best entries next week, what better prize to welcome in the new year! Please also be following @creativelysquared in order for your entry to count. Let's get creative together and celebrate the seasons, your loved ones and the year gone by. Let's honour all the good times and everything you were thankful for in 2017. We will be celebrating this creative community all week and we would love you share with us all of your best moments and anything that brought you joy and inspiration throughout the year. Our sponsor Branka from One Tiny Tribe is colour obsessed and for our next photo challenge we want to see your signature palette. 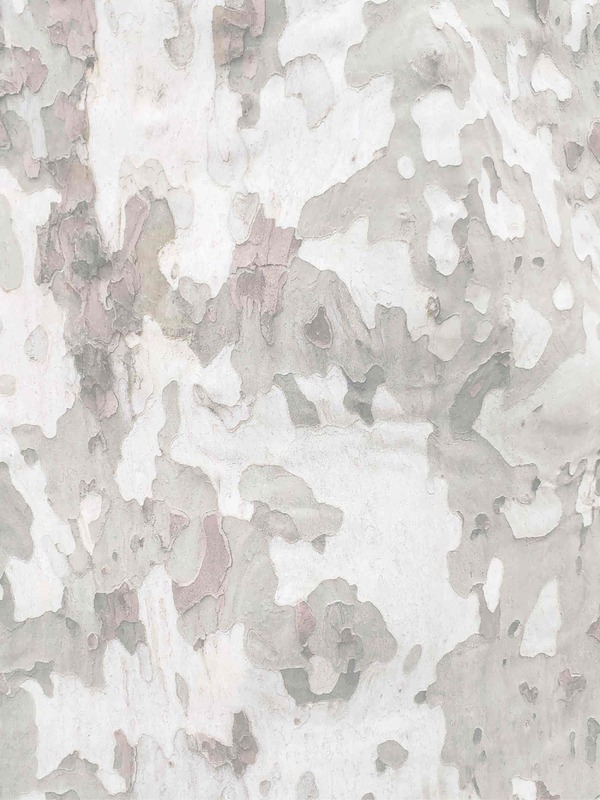 Are you drawn to the bright and bold or neutral colours and soft muted hues? Whatever colours are adorning your walls, your table or in your wardrobe we would love to see what combinations inspire and delight you. It's the last week before Christmas so why not show off your creative holiday style. Have you decorated your house in traditional festive colour palette or experimented with something new this year? Prizes: 1 x 50x70 Lenny Llama print and 1 x 50x70 Whale Tale print in Branka's signature colour palette. Please also be following @creativelysquared and @onetinytribe in order for your entry to count. This weeks challenge theme barely needs an introduction - especially at this time of year! This theme isn't limited to just the festive season so whether you are decorating a cake, your home, a Christmas tree or making your own holiday cards we'd like to see how you are putting your own creative flair on it! Please also be following @creativelysquared and @scotch_anz in order for your entry to count. This theme is all about escaping to where ever your imagination takes you. You could start with inspiration for your next adventure or simply an escape from the daily grind. If you are craving something a little sweeter why not escape into a sugar coma with delicious treat or a dive headfirst into a cocktail! Please also be following @creativelysquared and @artyhearts in order for your entry to count. The lead up to the holidays can be a hectic time of year and it is so important to take the time to refresh and recharge your batteries. With our theme this week we want you to think about how you can steal a moment for yourself to freshen up and energise. There are a lot of simple ways to feel refreshed such as clean sheets on the bed, trying new decor at home, a rejuvenating smoothie or treating yourself to a pamper session. Prize: Four winners will receive a Christmas home fragrance and pump pack gift set from the Naturals collection. Please also be following @creativelysquared and @thearomatherapycompany in order for your entry to count. It is the season for giving and the time of year that we celebrate the special people in our lives and express our gratitude. Regardless of the celebration, whether you are giving gifts or thanks, this theme is for sharing, being grateful and being inspired by the spirit of the holidays in your own special way. Prize: Daily prizes (Tues-Sun) of mini gift tag and wrap packs, plus a combined prize pack for the overall winner. 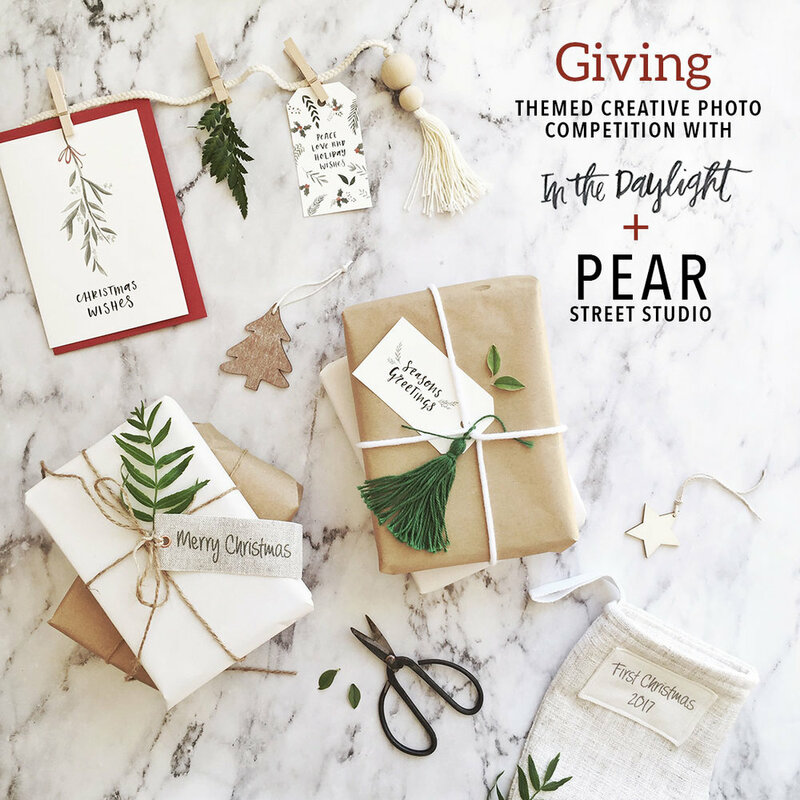 Please also be following @creativelysquared and @_inthedaylight @pear.street.studio in order for your entry to count. Lets go green this week and style up our images with some gifts from mother nature. Even if you don't have a green thumb or a garden at home, botanical elements are all around us. You won't need to look far for inspiration so cast your eyes to the fallen leaves outside, your favourite houseplants or even what is on your dinner plate. And of course green inspired prints like the range from The Lovely Other don’t require any green thumbs whatsoever and give that fresh green pop minus the maintenance and responsibility. Please also be following @creativelysquared and @thelovelyother in order for your entry to count. Please also be following @creativelysquared and @arloandco in order for your entry to count. We took a creative journey all around the world last week and now the compass is pointing us straight to Japan to explore the ideals of Wabi-Sabi. This Japanese aesthetic embraces and celebrates the beauty in imperfection, impermanence, incompleteness and simplicity, with an appreciation for nature and its processes. Our sponsor Gill from @mudbird_ceramics has created some unique ceramic dish sets just for this week's prize that are hand formed and fired, with a bark impression and a beautiful crackled glaze. Perfectly imperfect beauty, embracing the Wabi-Sabi aesthetic. Prize: Two winners will each receive a set of three handmade wabi-sabi inspired ceramic dishes. Please also be following @creativelysquared and @mudbird_ceramics in order for your entry to count. This week we are celebrating wanderlust and creating travel inspired images. We want to see your dream destinations and your favourite holiday snapshots. You could get crafty with maps like in this image from our creative host this week @aravisdolmenna or show us your treasured souvenirs and postcards from abroad. We have the perfect travel themed sponsor this week giving you the opportunity to win a personal 2-hour destination photoshoot for your next holiday! 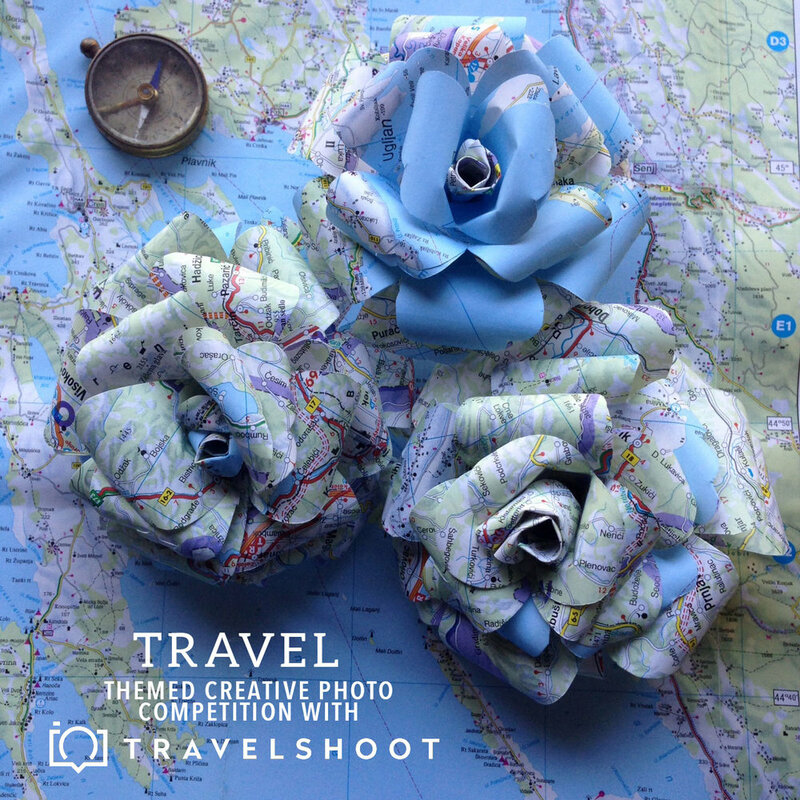 Please also be following @creativelysquared and @travelshootco in order for your entry to count. For our next challenge we are taking a good look at what lies underneath - your backdrop! 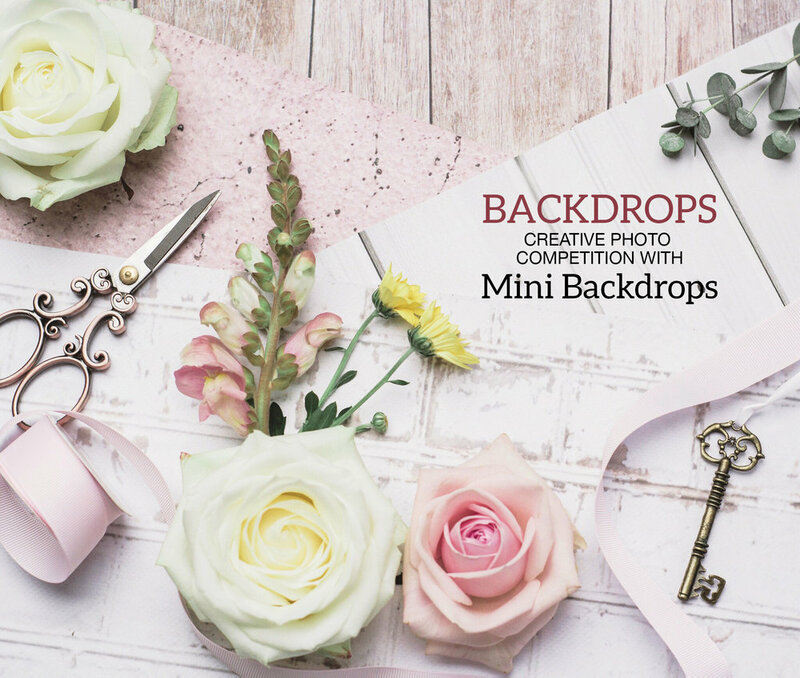 Using different backdrops is the perfect way to add a layer of texture, depth or help set the scene and can completely alter the mood and impact of your subject matter. Experiment with different colours and textures for your entry this week or show us your favourite backdrop. Please also be following @creativelysquared and @minibackdrops in order for your entry to count. This week we are slowing down and appreciating the simple things in life. It's time to stop and smell the roses and find the pure beauty in simplicity. You can take a practical approach to this theme and share your values or apply minimal aesthetics or compositions to your images. Just remember less is more! Please also be following @creativelysquared and @gingerfinchhome in order for your entry to count. We have the perfect theme (and prize!) for all you interior design lovers and stylists this week. Scandinavian design or 'Scandi' for short is a much loved trend around all the world and as a testament to this our sponsor sells beautiful Nordic homewares from their home base in New Zealand! 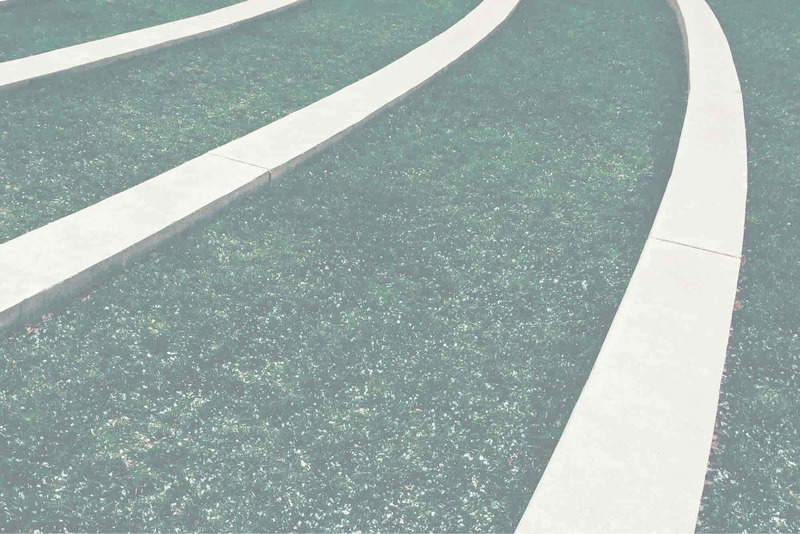 Even if interiors aren't your thing, you can still use the principles of simplicity, minimalism and functionality as the inspiration to create your image. This is also the perfect theme to celebrate Creatively Squared heading off to Copenhagen to compete at the Creative Business Cup next month! Please also be following @creativelysquared and @concreteblush in order for your entry to count. We are going green this week and powering up with plants! Whether it's filtering the air we breathe or fuelling our bodies, plants are essential to daily life. Show us your favourite plants and let's celebrate all of their wonderful attributes. They are beautiful to look at, delicious to eat and can reflect the seasons wherever you are in the world. If you need any inspiration on how to get creative with plants look no further than our incredibly talented guest host @keepingwiththetimes and the all natural ingredients from our sponsor. Please also be following @creativelysquared and @hottress.es in order for your entry to count. 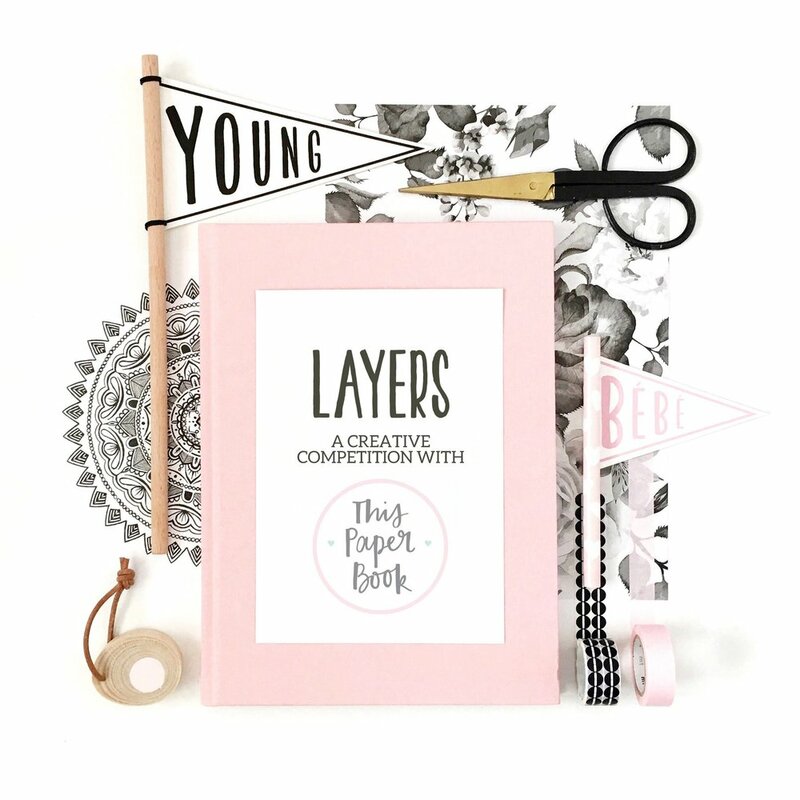 Layers can take on so many interpretations like using physical items such as the prints and books in our challenge announcement flatlay to some more deep and meaningful layers, metaphorical tree rings or layers of an onion. You could experiment with the aesthetic layering of light, layering of colours, layering of textures, patterns, prints. It's totally open to your interpretation so get your flatlay, shelflay, stacklay, hanglay on and lay your creativity on extra thick! Please also be following @creativelysquared and @thispaperbook in order for your entry to count. Last week we focussed on a neutral palette and now we want you to go crazy with colour! Play your way and experiment with different combinations, brights and monochrome compositions. Using colours can influence your feelings and change your mood so chase your joy and show us what colours make you happy! 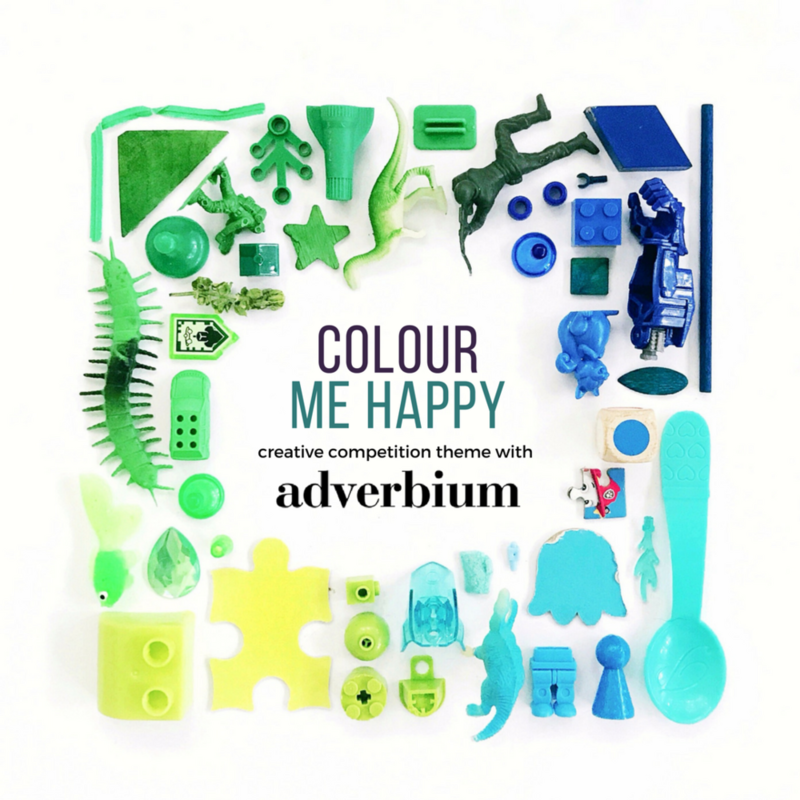 For colour-play inspo look no further than our sponsor @adverbium_design and gorgeous guest host @craftplanter. Please also be following @creativelysquared and @adverbium_design in order for your entry to count. We are keeping the Scandinavian vision running with our new challenge this week as we celebrate neutral colours and minimalist compositions. Create your image featuring natural fibres, timber and soft tones using sleek scandi-inspired aesthetics. 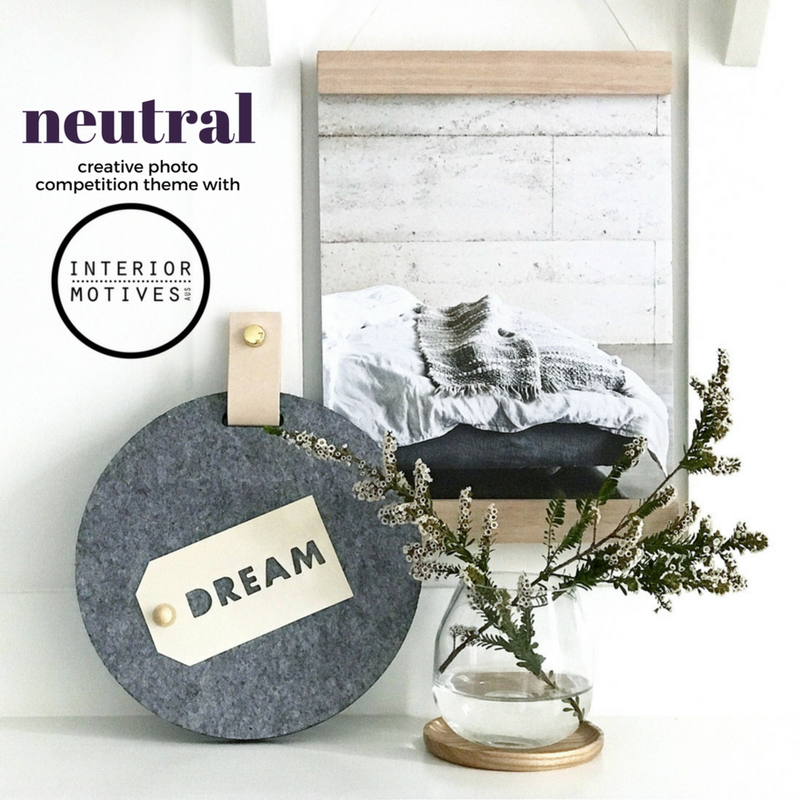 If you need inspiration then look no further than our divine sponsor @interiormotivesaus and fabulous guest @meldzam who will be featuring her favourite entries here all week! Please also be following @creativelysquared and @interiormotivesaus in order for your entry to count. This weeks challenge is about classic Scandinavian design elements and enjoying the simple things in life. Hygge (pronounced “Hooga”) is a Danish word that roughly translates to being comfortable and cozy. So let's slow things down and be inspired by the little moments in your day, relax with a book or connect with friends over a pastry. Show us how you can bring a little Hygge to your life in a creative way! Please also be following @creativelysquared and @thatlittlehyggeshop in order for your entry to count. This week we want you to turn to your own backyard, your hometown or country of birth for inspiration. Explore your own nativity or make it a bit more personal by visually representing your cultural identity. Although this theme doesn't just have to be about your own origins. Wherever you are, or have been, in the world use your creativity to depict unique local insights, flavours or native flora and fauna. Please also be following @creativelysquared and @_carmenhui_ in order for your entry to count. Time to treat yo self! This week we are taking the time to indulge and its the perfect excuse to pamper yourself in the name of art. Whether its a sweet treat, a spa session or just taking some time out to read a good book we want to see what your favourite indulgence looks like - you deserve it! Please also be following @creativelysquared and @appellesskin in order for your entry to count. Time to turn up the contrast! This week is all about adding some striking differences to your images. You could experiment with the elements within your composition by using contrasting colours and backdrops or juxtaposing different sized objects. Perhaps you can enhance the contrast by using just your lighting to highlight key areas of your shot. This is a great theme to interpret your way and try something new! Please also be following @creativelysquared and @candlesoflight in order for your entry to count. We are serving up creativity for breakfast this week! Do you start your day with a hot fry-up, head straight to the gym or is your morning routine simply a cup of coffee at your desk? Not a morning person? Well, you aren't alone there, why not show us your snoozing alarm clock, treats for morning tea or cafe brunch. Please also be following @creativelysquared and @tavalonaus in order for your entry to count. Where would we be without accessories? This week 'more is more' and we want you all to accessorise like a boss! Don’t be fooled into thinking that this theme only relates to the fashionistas out there (although of course we would love to see your latest outfit inspo) if you ask us anything can look better with a few accessories. Garnish up your weeknight dinner, add some new decor to a room in your house (any excuse really) or rearrange what you have for a fresh look. We really want you to think outside the box and bring your accessorising A-game – we know you have it in you! Please also be following @creativelysquared and @louiseroseandcojewellery in order for your entry to count. So now that you have that catchy Blink 182 song in your head let's have some fun with this theme...it's child's play! Get the little peeps involved or just style around them while they are sleeping. But this theme doesn't have to be all about the little folk, as the song says "She left me roses by the stairs, surprises let me know she cares"...it can be those small gestures that make your day or the appreciation of the little things! It's completely up to you! Please also be following @creativelysquared and @hubbleandduke in order for your entry to count. This week's challenge is all about the special things in your life that you find valuable, delightful or sentimental. We'd love you to dig out your treasures and show us a photo of what is precious to you. They could be your family photos, heirloom jewellery or simply seashells scavenged from your last trip to the beach. It doesn't matter what your treasures are worth, just that they mean something to you! Please also be following @creativelysquared and @uppermoda_official in order for your entry to count. In the spirit of our sponsor, who can help you plan the perfect Instagram grid, we are getting organised! Are your best laid plans just your outfit of the day or a fun night out? Show us your upcoming holidays, goals, meal prep - anything that you like to plan and look forward to. If your image catches our judges eye you could win a lifetime plan with @plannthat and kick those grid goals forever! Please also be following @creativelysquared and @plannthat in order for your entry to count. This weeks theme is going to be a visual burst of fruit flavours. It's time to raid the fruit bowl and go bananas! Hit up your local fresh food market for the latest in-season fruit to style up a foodie-inspired image, or take a cue from a fruity colour palette and make your image punchy and bright! Prize: The winner will take home "Lemon Haze", a one-off funky, decorative ladder that will come ready to hang with a wall mount and two stainless steel hooks. Please also be following @creativelysquared and @ladder.junkie in order for your entry to count. This is a theme that can be interpreted in so many different ways - on different sides of the globe! 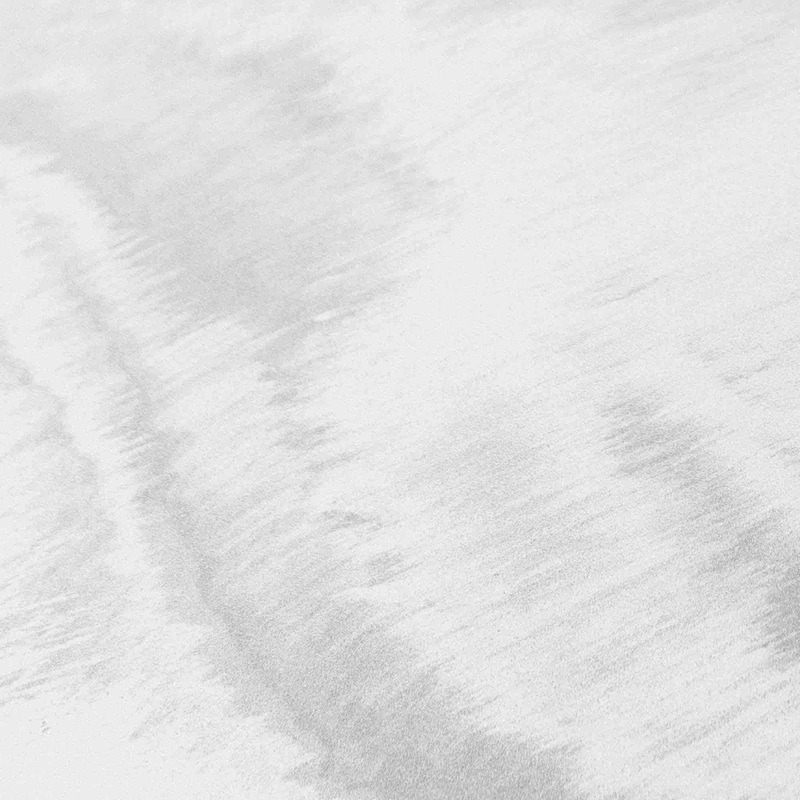 Get cosy for winter-inspired images, or fresh and beachy for summer. You could even apply the theme to your colour palette and work with warm hues.. the choices are endless! Prize: Winner of this week’s challenge will take home this luxe Tibetan fur cushion and natural essential oil candle form our @stylecuratorstore valued at $200. Please also be following @creativelysquared and @stylecuratorau in order for your entry to count. This week we so are inspired by the beautiful work of our sponsor @roundnine9 that we are keeping it au naturale! We love that there are so many creative directions you could take this theme working with natural textures, raw materials and ingredients. You might want to get back to nature and forage for props outdoors or build your image around using natural light or an earthy colour palette. It's a great week to get back to basics! Prize: An individually handmade macrame piece that is intricately knotted using 100% unbleached Australian cotton and mounted on a naturally-fallen, reclaimed eucalyptus branch. Measuring approximately 80cm W x 105cm L and valued at $375. Please also be following @creativelysquared and @roundnine9 in order for your entry to count. Sunshine, sunflowers, lemons, autumn leaves and corn. What do they all have in common? Hello... they’re all yellow! This week, Creatively Squared is celebrating all things yellow. 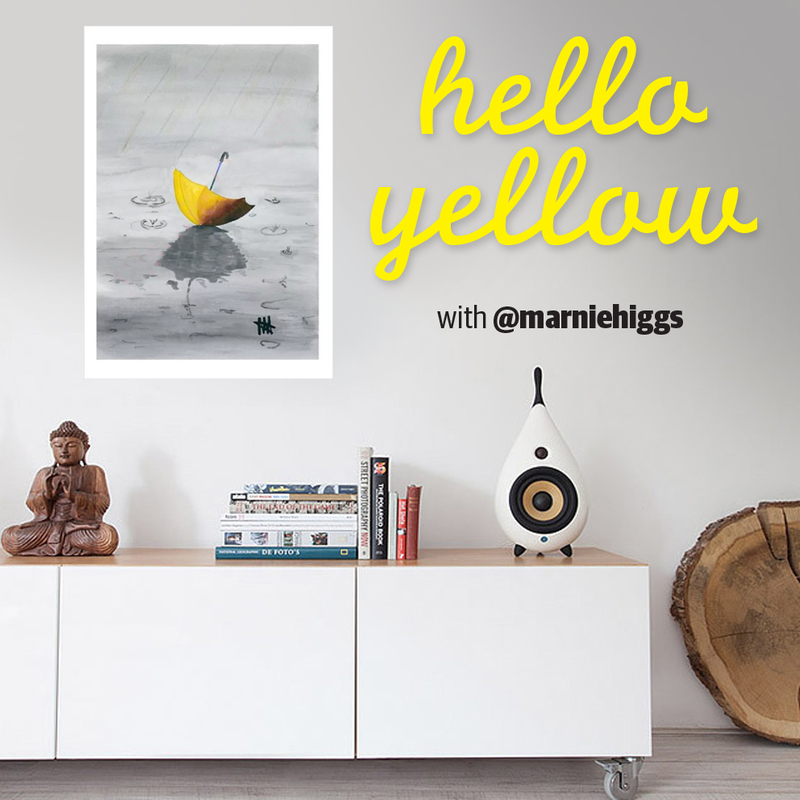 We’ve taken inspiration from our sponsor and watercolour artist Marnie Higgs whose lovely artworks include a series featuring cute yellow umbrellas, and now we want to fill up our feed with this glorious happy colour! So rummage through your closets, potter in the garden and gather together all your finest yellow possessions . . . this week is going to be so bright you’ll have to wear shades. Post caption: To be eligible for this prize you must have the following tags in your opening caption #cs_helloyellow @creativelysquared @marniehiggs. Please also be following @creativelysquared and @marniehiggs in order for your entry to count. This week it’s time to shine! Add some bling to your styling this week by incorporating some metallic products, some glitter or even some rose gold to match our sponsor’s beautiful packaging. Perhaps you could even incorporate some products that make you feel all all shiny and new on the inside and out. Prize: One lucky winner will receive a Jasmine Sunset Radiance Body Oil, Blood Orange + Vanilla Sugar Scrub, Refine + Radiate Face Mask, + Reset Ritual Pulse Point Therapy. Post caption: To be eligible for this prize you must have the following tags in your opening caption #cs_shine @creativelysquared @islaapothecary. Please also be following @creativelysquared and @islaapothecary in order for your entry to count. 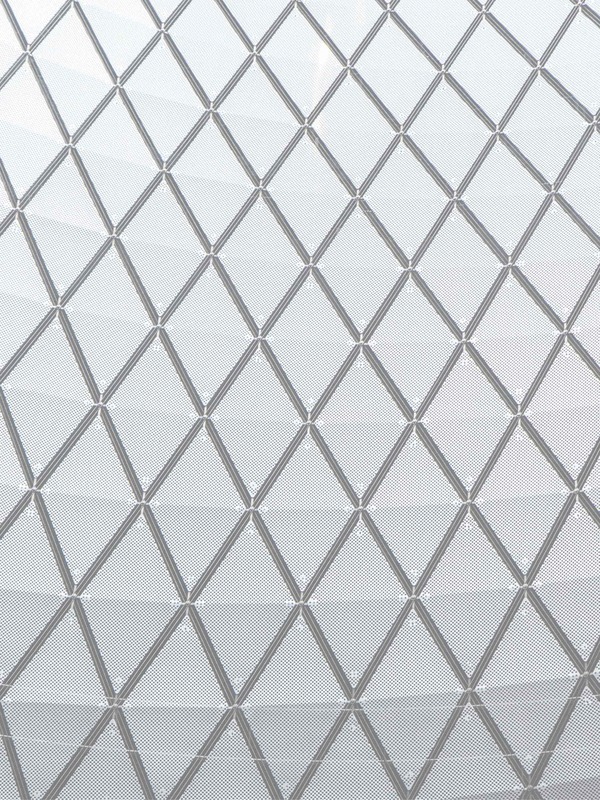 This week we want you to get crazy creative with lines, shapes and patterns for our theme: Geometric. 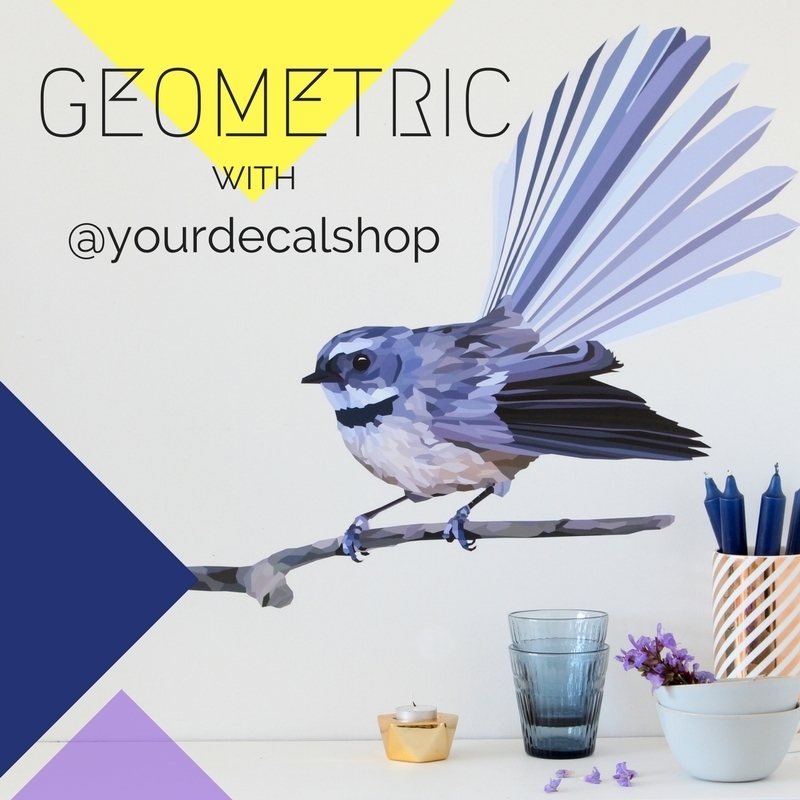 Our sponsor this week is Your Decal Shop, you only have to look to their clever and colourful wall decal designs to see that they are constantly inspired by geometry and apply it regularly to their wall art. Geometric lends itself to so many possibilities, maybe you will style your best perfectly-square flat lay, you could select geometric inspired props, cut out and create your own shapes or use paper, fabric and even clothing that is in line with this week’s theme. Post caption: To be eligible for this prize you must have the following tags in your opening caption #cs_geometric @creativelysquared @yourdecalshop. Please also be following @creativelysquared and @yourdecalshop in order for your entry to count. This week's sponsor is Cahaya Candles (Cahaya meaning ‘light’ in the Malay language), creators of light via pretty handcrafted soy candles. The Cahaya Candles brand promotes living the ‘light’ life, with self care and relaxation, while the sweet soy candles bring light in its physical sense. 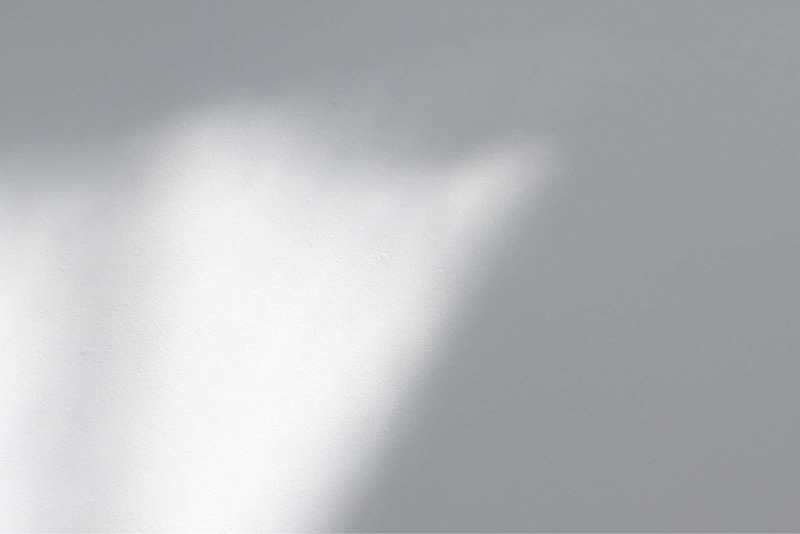 For this challenge, we want you to focus on light. You might use a little bit of light or a lot. You might opt for candle light, spotlight, torch light or even stadium light. 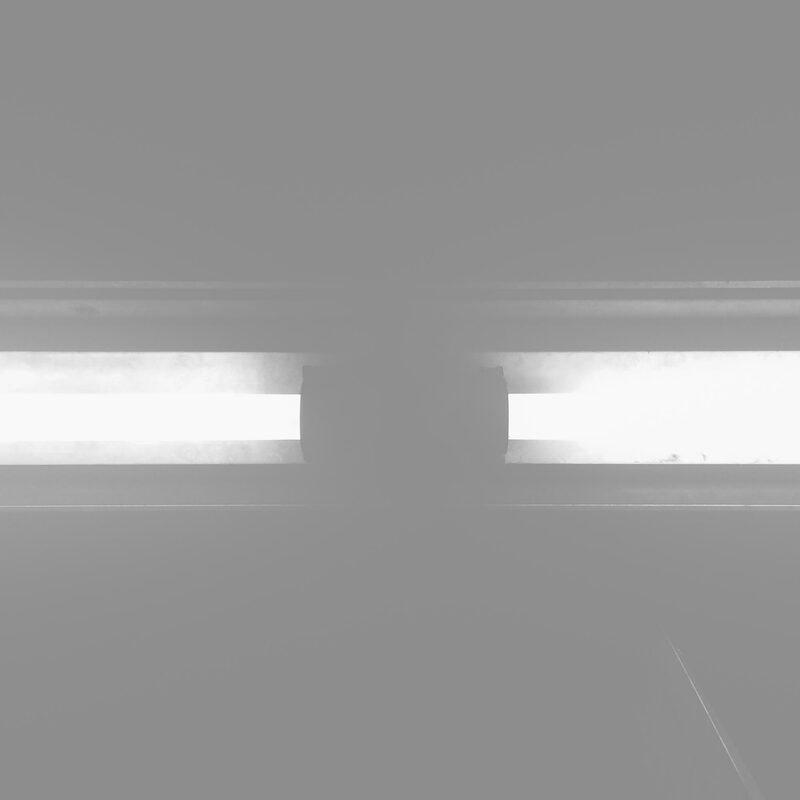 Or, you might want to have a little bit of fun with light. I have two words for that: shadow puppets! Post caption: To be eligible for this prize you must have the following tags in your opening caption #cs_light @creativelysquared @cahayacandles. Please also be following @creativelysquared and @cahayacandles in order for your entry to count.